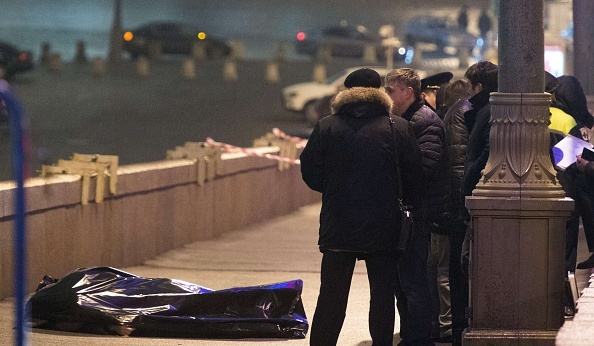 The drive-by murder of Boris Nemtsov, a well-known Russian opposition figure, has drawn the condemnation of numerous world leaders, but he may have predicted his death two weeks ago. After his death, Russia’s interior ministry quickly issued a statement in saying his death would be investigated. Meanwhile, Putin also condemned the killing. Nemtsov also said in the interview that his mother had feared for his safety. “She is very afraid” of the prospect of him losing his life. “I’m her son, after all,” he added. He was shot four times in the back on a bridge near the Kremlin–in one of Moscow’s most heavily guarded areas. “We will do everything to ensure that the perpetrators of this vile and cynical crime and those who stand behind them are properly punished,” Putin said in a statement to his mother. “Please accept my deepest condolences in connection with this irreparable loss. I sincerely share your sorrow,” he added. U.S. President Barack Obama, U.K. Prime Minister David Cameron, and other Western leders called for an impartial investigation into his death. Secretary of State John Kerry also issued a statement. After the identity of ISIS terrorist Jihadi John was revealed on Thursday, mainstream media outlets were clamoring to get the story up in a timely fashion.